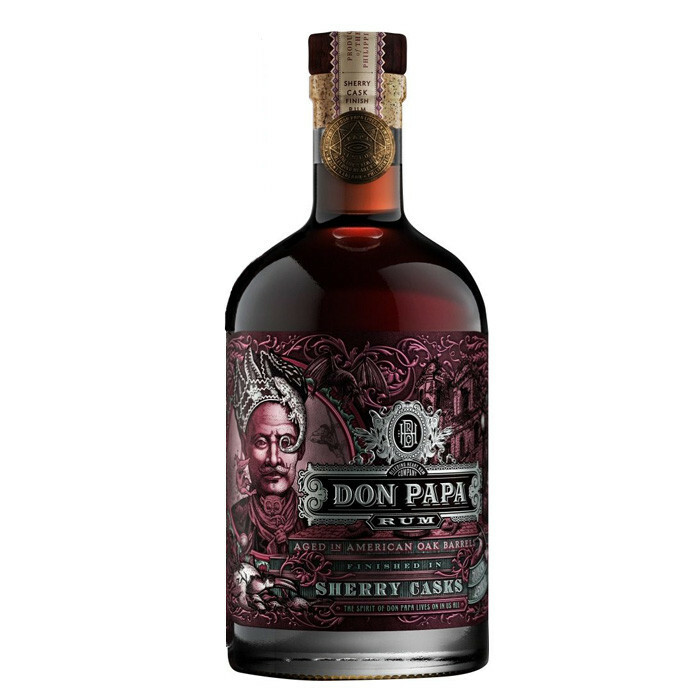 Bottled at 45% ABV, Sherry Cask Finish uses the original Don Papa 7 years rum which is first aged for four years in American Oak ex-bourbon casks, followed by 18 months in four different types of Sherry Casks–Fino, Pedro Ximenez, Cream, and Palo Cortado. Nose: Smooth and fruity on the nose with hints of ripe raisins. Palate: Full-bodied yet delicate sweetness with notes of plum, dark chocolate, and ripe figs.